Who can view group chat history? You are here: Home / Chat History and Files / Who can view group chat history? Chat history is all the instant messages you’ve sent and received from your contacts or groups. An Office Chat Admin can view Group chat history from Admin Portal only, even if he is not a part of that Group. 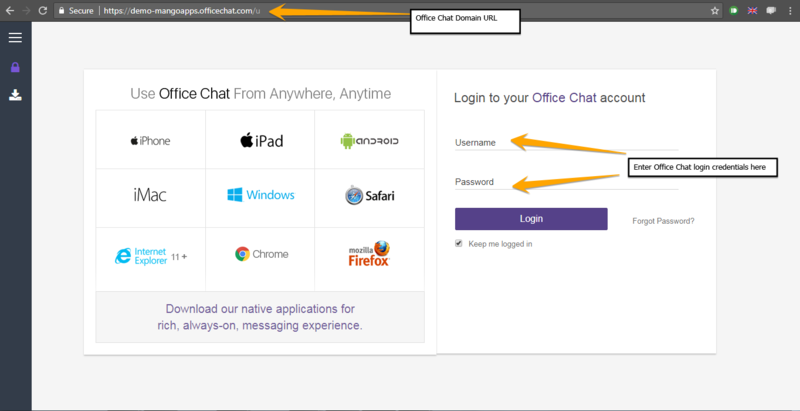 To view the Group chat history, an admin can login to Office Chat domain URL in a browser using his Office Chat credentials. The Admin option will show up in the left navigation. To see the chat history, navigate to the ‘Groups’ Tab and click the drop next to the Group whose chat history you want to see and select “View Chat History”.